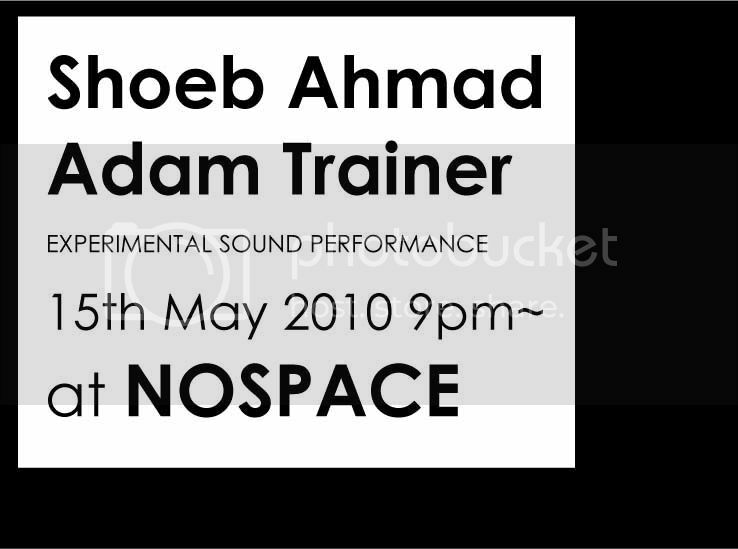 Shoeb Ahmad is a sound artist and musician on his own whilst also being one half of the improvising duo Spartak and the man behind hellosQuare recordings. Shoeb’s unique style of punk experimentation and electronic drift has seen him release recordings on labels such as Sound&Fury, Low Point and his own hellosQuare while over the last six years, he has performed alongside the likes of Tenniscoats, Christopher Willits, Magic Dirt, Underlapper, Pumice, Castanets, ii and Icarus. He has recently released two albums, 'Verona' with his duo Spartak as well as the eight piece suite 'Blossoms' on his own label hellosQuare. Adam Trainer is a writer, musician and radio DJ from Perth. He cut his teeth in the Perth indie rock scene with stints in various experimental rock bands including Radarmaker, Polaroid Ghost and the Ghost of 29 Megacycles. Although his approach to solo composition is constantly changing he is interested in the intersection between texture and melody, between the musical and the non-musical, between sound and space. His debut 3″ CD-R was released on now defunct Perth label Wilting Flower. Since then he has released tracks on compilations released by Phantom Channel, hellosQuare, frosty you haunt me and Feral Media. His debut full-length album ‘Twice Worn’ was released in May 2009 by hellosQuare.